The conference aim is to increase the number of Chinese tourists in Croatia and the region, and to better introduce local tourism capacities and offer to Chinese investors. The tourism industry is one of the main instruments for regional development, as it stimulates new economic activities, tourism-related investments and mutual understanding. Stronger cooperation between countries in the Balkans will accelerate sustainable economic progress in the region, which is one, in a global scale, one of the main goals of the Silk Road initiative. In 2017, Croatia and neighbouring Balkan countries have experienced growth in the number of tourist arrivals from China ranging from 40-60% over the same period last year. 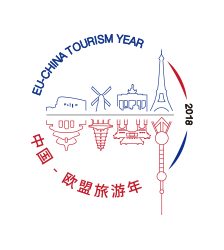 Several tourism professionals and representatives of Chinese tourist agencies will talk about their experiences and give their advice for better cooperation. How to prepare and adapt to Chinese tourists, what are they interested in, and how to attract them more successfully.